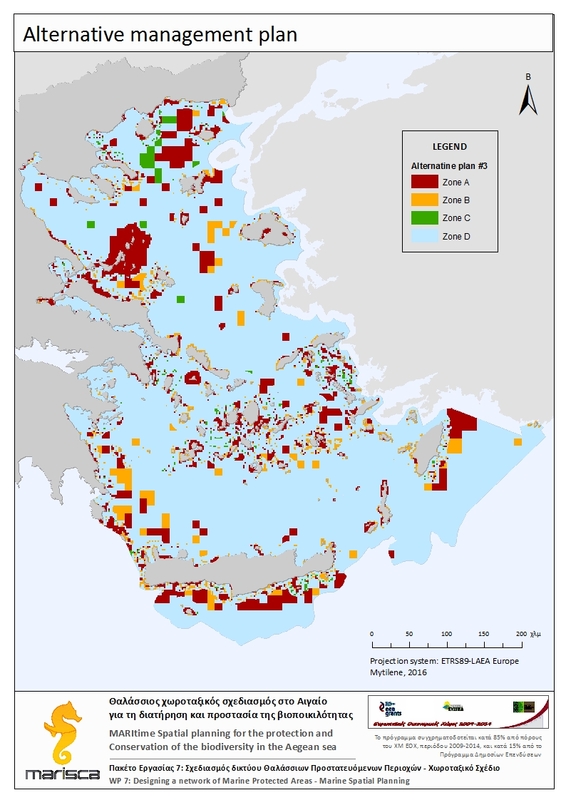 A big amount of data about the ecological and socio-economic features of the Aegean Sea was collected by the MARISCA project through a wide range of sources, in order to map the spatial distribution of vulnerable habitats and species as well as of main human activities occurring in the area. 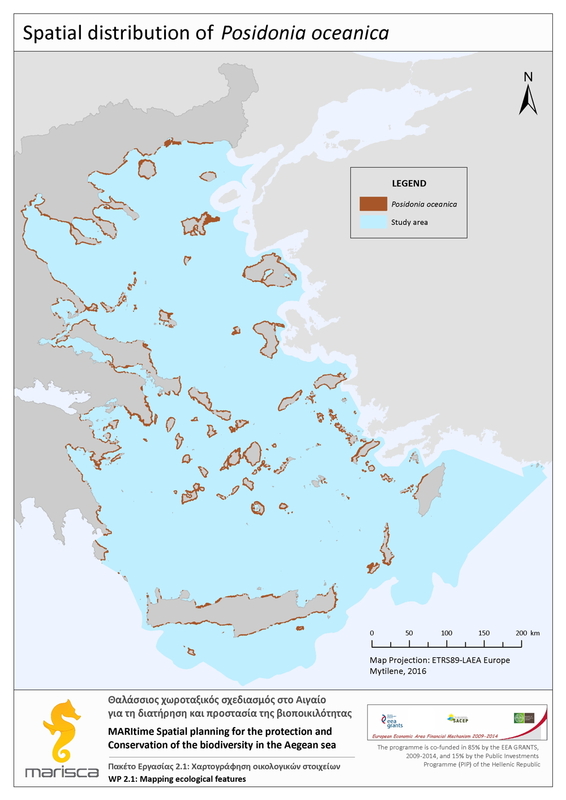 Estimates and maps of the cumulative impact of these human activities per habitat type were than developed by the project, allowing for the identification of highly vulnerable sites in the Aegean Sea. 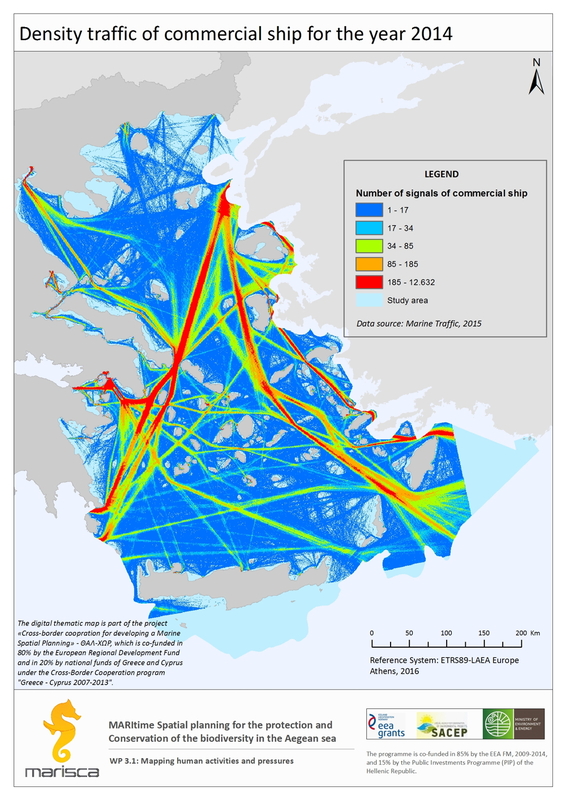 Data and maps were then used to investigate and propose alternative scenarios for MSP (using the Marxan with Zone software), designing a possible network of marine protected areas (MPAs) and a spatial arrangement of the most important maritime activities taking place in the Aegean Sea. What is the spatial distribution of vulnerable habitats and species in the Aegean Sea? What are the main human activities in the Aegean Sea and where are mainly concentrated? Where do coastal and marine habitats overlap with human activities and which is the cumulative effect of human activities on such habitats? Can examples of MSP scenarios focusing on the protection and conservation of the biodiversity in the Aegean Sea be provided? Providing a first input to the implementation of MSP for the protection of biodiversity in the Aegean Sea, based on the developed scenarios. A wide range of data sources (scientific literature, past research projects, online databases, satellite images, original field work, interviews and questionnaires) were used to gather useful data and information on the ecological characteristics of the Aegean Sea. Data were quality checked, digitized under a common format, and incorporated into a GIS-based database to elaborate distribution maps of main ecological features (habitats and species). Marine-related human activities and existing spatial management measures/regulations were also mapped across the study area using data obtained from public institutions, such as ministries, universities, other research institutions, etc. The vulnerability of the distinct habitat types to the different human activities was evaluated, and the cumulative effect of anthropogenic pressures per habitat type was assessed. This way, the level of anthropogenic pressures per spatial unit of the study area was estimated and mapped, allowing for the detection of sites of high human impact. Ecological and socio-economic data collected were used to investigate and propose alternative scenarios for MSP in the Aegean Sea, emphasizing the role of MPA networks along with an organized plan for the spatial allocation of marine-related activities. Scenarios were developed through Marxan with Zones software. The analysis combined ecological information with data about main economic activities taking place in the Aegean, such as tourism and fisheries. Expected future uses, including oil and gas extraction and wind parks possible development, were also taken into account, to provide some insights regarding the effects of activities related to future Blue Growth in the study area. Maps of the main human activities: fishery, aquaculture, marine transportation, energy, telecommunications, military areas, tourism, industry, urbanization. Maps of spatial management measures: fishery restricted areas, maritime archaeology, special framework of spatial planning and sustainable development (for aquaculture, industry, tourism and touristic ports), regional framework for spatial planning and sustainable management. Maps of the cumulative impact score for: Posidonia oceanica beds, coralligenous formations, gorgonians, rhodolith beds, shallow reefs, all ecosystems. Finally, maps of alternative scenarios of MSP for the protection and conservation of the biodiversity were produced. All alternative scenarios include a network of MPA and a spatial arrangement of the most important marine-related activities taking place in the Aegean Sea. This latter is based on a system of four management zones (A, B, C, D). Distinct zones offer a different level of protection, ranging from Zone D – general use zone of lowest protection, to zone A – highest protection zone including areas of conservation interest. Developed maps and scenarios are proposed by the MARISCA project as a valuable basis for the initiation of a participatory process of MSP and establishment of a MPAs network in the Aegean Sea.